10m wide temporary structure is a basic product in our offer and it can be modified in its width and eave height. It is very convenient for its quick installation, dismantle and easy maintenance. It is suitable for storage purposes, industrial use, exhibitions, corporate presentations and sports and cultural venues. Covering options – for storage purposes classic high-strength PVC sheets, trapezoidal sheet or plastic are used, for exhibition marquees and party events are recommended covers with windows. For other purposes, we provide individual covering and accessories. 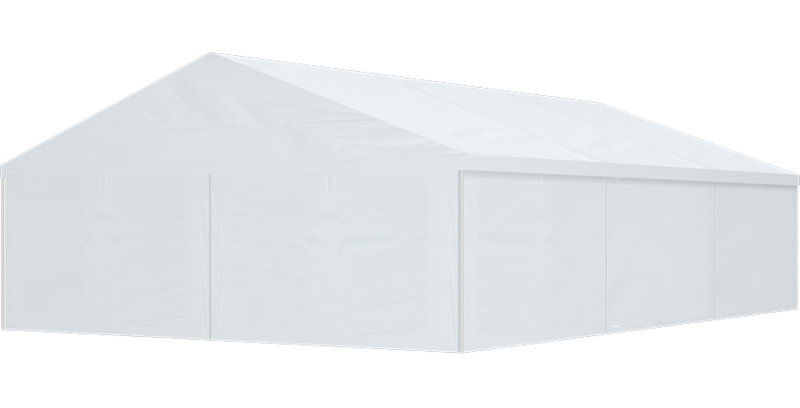 We recommend this type of a marquee for short and medium term rentals.